Is eBay Honoring Its Seller Protection Promises? eBay had notified sellers it wouldn't penalize them due to postal closures during key holiday dates, and last week, the company issued an update. We wondered how well eBay is adhering to its promise. The issue is important, as incurring late-shipping defects can be harmful to sellers. - eBay does consider December 24 a shipping day. - eBay does not consider December 25 and January 1 a shipping day. Sellers will not receive late shipments for these dates. On January 10th, eBay reminded sellers that it would automatically protect "Seller Performance" and said sellers' late shipment rate would not be impacted by limited shipping carrier services (USPS, FedEx, UPS) on December 24 and 31, 2018. "Any defects incurred will be removed and correctly reflected in your monthly seller evaluation." Likewise, eBay also promised to protect sellers' performance metrics for delays related to the December 5th national day of mourning for former President Bush when the USPS had very limited services. On December 28th, eBay told sellers it would remove late shipment metrics on their seller dashboard, writing: "These metrics will not be reflected in your January 20 seller evaluation and will have no impact on your seller performance." Keep us posted on how eBay is handling these road bumps as you keep an eye on your seller evaluations. And have you run into any other issues relating to holiday shipping challenges? If it effects the bottom line of Ebay they deny any knowledge of seller promises. "Promise" has an alternate definition, that being potential. On eBay, a decade of their keeping their past 'promises' has proven that neither definition applies anymore. Unless they extract a big enough 'promise' from you, from your wallet. -until you finally give up. OK what about Monday the 21st?? PO is closed that day also. ebay protects nothing or no one , except their precious pocket linings. i know from experience. ebay needs to be held responsible for their lies. There’s no such thing as “seller protection”. Like in any other good Mafia - they make you promises they never intend on keeping. Seller get blamed for everything all the time, period. Seller protection is like Keyser Soze - spoken of but never seen. eBay will give us all the commissions and fees we ever paid before they protect anyone. The USPS was pretty bad this last holiday season, and made no difference with bad weather, it was all pretty bad, about 18 days average delivery, fail to scan labels, etc.. Ebay did not care. You asked a specific question but the first 7 comments are general swipes at ebay indicating that some readers are more interested in griping than in sharing information. I can't answer your question - no dings but can't tell if that's due to seller protection. Wish more of your readers would share INFO and fewer would use you as a platform to vent endless ebay bitterness. Yes, ebay isn't the free for all it was when it started, but that's life (and actual business), folks. The only seller protection left is an INR claim with tracking to prove otherwise. Besides that, all protections have been removed. I'm sure everyone knows by now ebay did that to acquire their 4% fee. Moreover, ebay has a long history of breaking promises. In fact, the majority of script-reading dribble that comes out of the Philippines is pure fantasy that rarely results in any actions promised. With that said and not just griping to gripe as someone alluded to. With all but one of the protections removed and ebay's abysmal track record of empty words, it's logical to assume that no, ebay will not keep their promise to protect sellers for shipping delays over the holidays. thehosst writes: "The USPS was pretty bad this last holiday season, ...."
You're not kidding. I buy a specific kind of action figure from a seller in Taiwan (been buying from him since 2004), and he mailed two figures to me by Express Mail on December 8th, which arrived in the U.S. the same day. From there the package sat in the Los Angeles USPS facility until he filed a complaint on January 5th, and then the package started to move and was finally delivered to my post office box January 10th, over a month later! "There’s no such thing as “seller protection”." That's true of any online sales platform. "There’s no such thing as “seller protection”. On Amazon (and this has been explained by me and other MANY times) you FULFILL, on eBay you sell. BIG difference. On Amazon - THEY are guaranteeing the product THROUGH you. As a "seller" you are merely a conduit from which Amazon gets product from. They make a promise and it "comes out of your hide" in some way shape or form. They dont have to see the item, they dont care about what the seller says - its ONLY the buyer that counts. That stinks - but the velocity of sales in alot of ways "makes up" for some of the bad things that happen in the Amazon environment. Amazon is by no means "the good guy" (with eBay being the bad guy", and Amazon can and does do some VERY bad things to sellers - but the topic here is EBAY and its bad treatment of sellers, not Amazon. ON EBAY - YOU make the sale. Theres NEVER a time that the item belongs to eBay, they "should" have nothing to say about it - since they have never seen it in any way shape or form. For eBay to not be neutral ("it happens on every platform") is wrong. Not requiring more then just a snide comment from buyers when an issue arrises - is just wrong - morally and in other ways as well. If eBay (via its reputation) proved it be a "fair judge" (and there are MANY cases where eBay just ignores the truth) that would be one thing. But to ALWAYS take the buyers side (when sitting comfortably in a San Jose boardroom or from the Philippines) is quite another. If you are going to say "we dont trrust sellers" then by all means - SAY SO. But DONT say "we afford you seller protection(s)" the lie about it. Any 1/2 smart person can look at a calendar and know what days are shipping days. The info is also available on UPS's website, Fed Ex's and USPS's - its not rocket science. You shouldnt need "a pass", you shouldnt need to call in and ask - for "the worlds greatest Tech Company (their words) all this should be AUTOMATIC - do you not agree? eBay is well known for being liars, cheaters and thieves, and that Ina & Co have to (Daily) have columns about what new TRICK eBay plays on its sellers is absurd. If you are a multi billion dollar company - why try and hurt the smaller sellers that YOU RELY ON at every turn. Take Poshmark as an example - you get 4 days to approve or disapprove of your item - not 30. Do you REALLY need 30 days to figure out if the pants you bought "are really 32x40"? Is Tan really Tan or is Tan the new black? eBay cant and wont go to that place "because eBays modis operandi is theft from sellers to make buyers happy" and thats no way to run a business - unless you are the mafia (thats why they get called that). 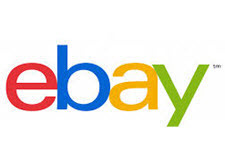 Yes despite the bad things, eBay is still %10 of the online market - too small to ignore. Personally - I used to do 30K a month with eBay with out much hard work - until they decided to hide listings that wont do 30 free shipping on returns. eBay (sadly) always misses any opportunity to do the right thing - veen when it doesnt cost them anything .... because the THEFT and FRAUD is so ingrained in the company that they cant help it (like a kleptomaniac). You work despite them not with them - lets see what DW and his new consigliere do in 2019. You can BET all the money in China - there wont be any "New" seller protections - as there arent any now - its all window dressing. Russia Post actually did a much better job this season than USPS. I am not a normal eBay cheerleader but I can say in this case they did remove a few late shipment dings on my account over the holidays. - I didn't even ask, they removed them automatically. However, I am nowhere near their 4% target so in reality it did very little. toolguy writes: "There’s no such thing as 'seller protection.' That's true of any online sales platform." Wrong. eCrater protects its sellers against buyer fraud, and removes unwarranted negative feedback. toolguy further writes: "All a person has to do is tell their credit card company ITEM NOT AS DESCRIBED. . . .CHARGEBACK." I believe you are wrong on this count as well. Credit card companies aren't eBay and won't tell you to keep the item and you'll get your money back, too. And credit card companies look at actual evidence. A lot of people who file are denied a chargeback because the facts don't support a removal of the charge. I had an eBay customer claim an item was not as described. eBay sent them a return label, they never printed it up. We never got the item back. eBay ruled in our favor and so did Paypal. We're out $20 and the item! I'm going to try to strong arm Paypal into giving our $20 back and we'll eat the loss of the item. We're going to tell them if they don't return the $20 we're going with eBay payments and end our 18 year relationship with Paypal. . . . I can confirm, for our accounts, that as of 1/20 none of our late shipment rate defects have been removed for the 24th or 31st. Orders placed from the 28th to 31st are all showing late delivery and we lost our TRS on 3 anchor stores because of this. So no... eBay is not honoring its seller protection promises. Martin Luther King Jr is a holiday and US Post Office are closed. FedEx may or may not be open. We also got hit for the 24 th and the 31st. We called ebay CS, first rep had no clue what to do, 2nd call was same as the first, dumb blonde routine. 3rd call, rep was good and got everything removed. How ebay is still in business is beyond me.